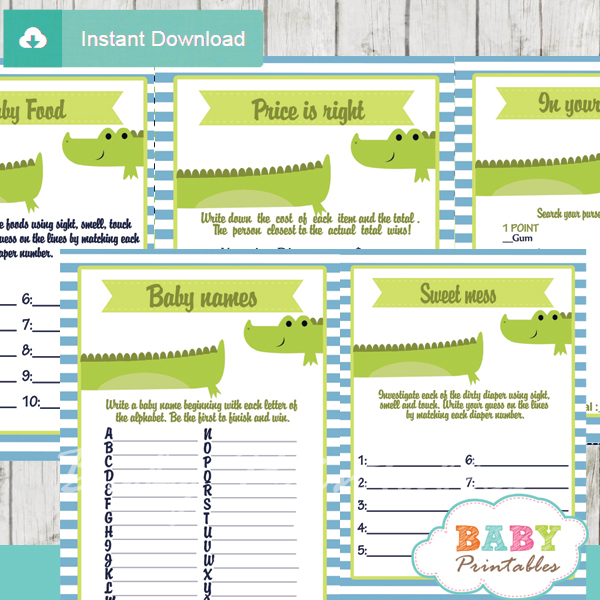 Printable fun to play gender neutral llama baby shower games featuring a joyful whimsical design! 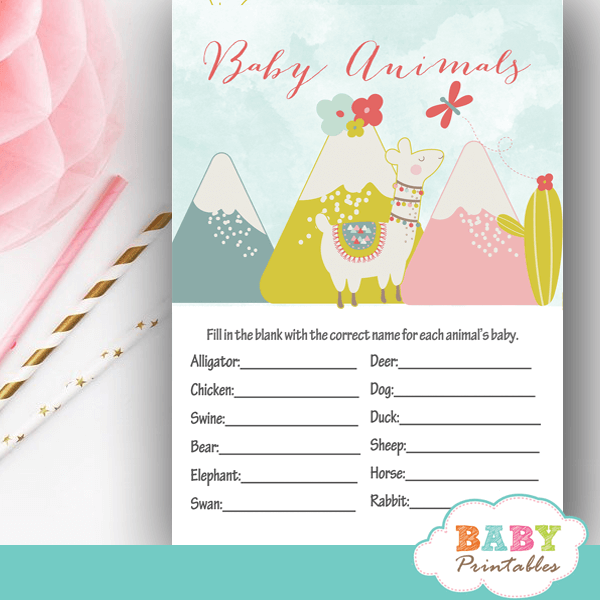 These Llama baby shower games feature a happy alpaca in front of Andean mountains in fresh light, pink and blue color combo with cactus, flowers and a butterfly against a blue sky backdrop. Perfect for entertaining your guests in a gender neutral fiesta themed baby shower full of llove.